The LUNA fofo analyzes moisture levels in each zone of your face to reveal your skin’s true age and type. Enjoy sophisticated cleansing with your customized routine! IRIS utilizes alternating T-Sonic technology to reduce the visible signs of crow’s feet, dark circles, and under-eye bags. IRIS improves absorption of your favorite eye creams or serums. Equipped with full spectrum LED Light Therapy, the innovative UFO Smart Mask utilizes Hyper-Infusion Technology to activate and enhance FOREO's line of single-use masks. Experience the world's most advanced 90 second smart mask that combines UFO-activated mask formulas with FOREO's Hyper-Infusion Technology. The UFO Smart Mask Treatment lifts and firms skin, diminishes the appearance of pores and reduces inflammation. To use, tear the sachet to remove the device-activated mask. Remove the attachment ring and apply the mask to the device. Secure the mask by clipping the attachment ring back into place. 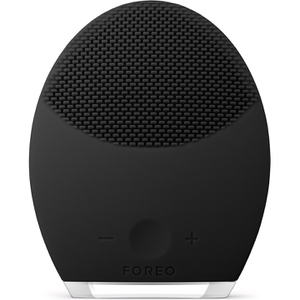 Pair the UFO device with the FOREO for You App to enjoy your preprogrammed routine! We've expanded our product portfolio to cater to a wider range of budgets and needs. We're also present in 77 markets globally - and counting. So now more than ever, FOREO really is For Everyone, and accessible to everyone who wants to look and feel their best. Enhance your daily self-care rituals and experience exceptional results with FOREO’s trendsetting suite of skin care and oral care devices. FOREO’s travel-friendly assortment of waterproof, bacteria-resistant silicone products merge sleek, Swedish design with superior technology. FOREO devices are backed by a 2-year Warranty and 10-year Quality Guarantee, available in a rich, visually stimulating color assortment that suits a variety of tastes. Scandinavian brand FOREO questions conventional thinking by working on mould-breaking projects at the FOREO Institute founded in Stockholm, Sweden. The LUNA™ line of skincare devices and the ISSA™ line of dental beauty devices are like nothing you've ever used before. FOREO's story began with the Luna™, a cleansing brush inspired by what was missing in the market. In place of abrasive nylon bristles that could potentially lead to over exfoliation and counter-productivity, FOREO introduced the world to a silicone brush that channels upto 8,000 transdermal sonic pulsations. These sonic pulsations slough off dead skin cells and remaining traces of make-up, taking 99.5% of dirt and oil with it and boosting the absorption of your skincare while prepping men's skin for shaving. The silicone brush touch-points deliver a deep and gentle cleanse and are softer, smoother and far less abrasive than alternatives. Meet good-looking cleansing brushes that are waterproof and around 35 times more hygienic than competitors. 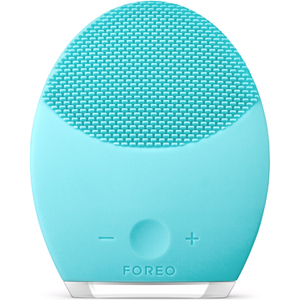 Unlike some beauty brands, FOREO does not adopt a one-size-fits-all approach. Trust in the science of FOREO to address your concerns. Explore the ISSA range: the world's first set of silicone bristled electric toothbrushes. Experience a comfortable gum massage and a clean, healthy mouth like never before. These sleek, travel-friendly brushes are ergonomically designed and complimented the lifestyle of the modern man and woman, and come with a 10-year quality guarantee. Browse a range of colors from lavender and mint, to cobalt blue, cool black and more. FOREO is committed to creating sustainable skincare choices and supporting environmental conservation. After partnering with Greenwave and the Sea Life Trust in 2015 to build restorative ocean farms and sponsor endangered sea turtles, the good people at FOREO partnered with the Ocean Conservation in early 2016 to bring you the limited edition Save The Sea product line, customizing the beloved Luna Mini 2 and promising to donate 100% of net proceeds towards the restoration of marine ecosystems.